Too cold outside? Too hot? Want a place to have some fun with friends? Madtown Twisters Open Gym is the place you’re looking for! What is Open Gym? Open Gym is the perfect time to come check out what our gyms have to offer. Explore our gym by jumping on trampolines, bouncing on the tumble traks into the foam pits, and scavenging through our obstacles courses…and who can forget our inflatables! Madtown Twisters offers open gym times for various age groups. With trampolines, obstacle courses, bouncy houses, and more, you’re sure to have a great time and burn off some of that excess energy. Exclusive to Madtown Twisters!-Monthly Class Tuition Includes unlimited Open Gym! 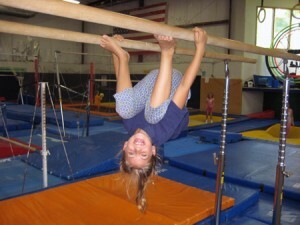 Book an Open Gym Party at Madtown Twisters—click here to learn more! Family Open Gym is for all ages. During this open gym, a supervising adult per two children must be present and stay with them at all times. You must have a completed and signed waiver form. No high beams. No high bars. No flipping. 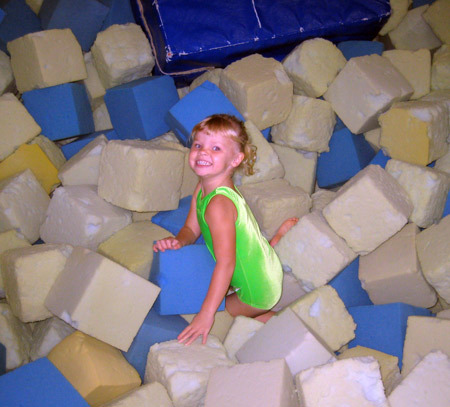 Foam Pit: One person at a time (both in the foam pit and down the tumble track). No digging holes in the foam pit and no throwing foam. Trampoline: Only one child at a time. You must stay in the middle, and you must not jump off. No adults allowed on any of the equipment. Mixed Open Gym is for all ages. However, ages 7 and older may be dropped off. Children under 6 and younger must accompanied by a supervising adult. One adult per two children must be present and stay with them at all times. No high beams. No high bars. No flipping. ABSOLUTELY NO DOUBLE FLIPPING.